Learn a financial management process that has been in place for over 200 years! 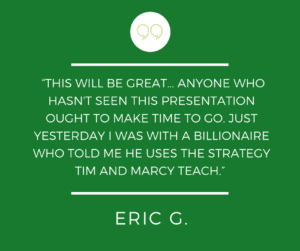 Find out first hand from special guest presenters how they build and maintain wealth. Recycle your money in such a way that it grows for YOU and not someone else! The concepts millionaires use are available to most everyone — but not many are teaching these things to “the 99%. It’s not what you know about money that’s the problem, it’s what you think you know, that just isn’t so. Take the time to re-educate yourself, you’re worth it!